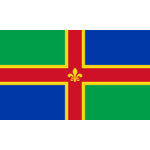 Lincolnshire Day is celebrated on October 1 in a county in the East Midlands of England. It marks the anniversary of the Lincolnshire Rising, a Catholic uprising against the English Reformation and the dissolution of monasteries. One of the driving factors behind the English Reformation was the Pope’s refusal to annul the marriage of King Henry VIII and Catherine of Aragon. In 1534, the Parliament of England passed the first Act of Supremacy which established Henry VIII as the supreme head of the Church of England and marked the beginning of the English Reformation. In 1536, the king’s chief minister Thomas Cromwell set in motion the dissolution of the monasteries. Monasteries and other church institutions were disbanded, and their assets were transferred to the Crown. Naturally, this caused anger among Roman Catholics. On October 1, 1536, a group of Catholics started an uprising at St James’ Church in Louth, Lincolnshire, protesting against the closure of Louth Park Abbey. The uprising quickly gained support in nearby towns but was effectively suppressed on October 4. Nevertheless, the Lincolnshire Rising was of great importance because it paved the way for the Pilgrimage of Grace, a mass protest of Roman Catholics in Northern England that lasted for about a year. Lincolnshire Day was first observed in 2006. It was established to commemorate the Lincolnshire Rising, as well as honor the county’s past, culture and traditions. It also honors famous Lincolnshire natives, including Isaac Newton, Alfred Tennyson, Margaret Thatcher, Joseph Banks, George Boole, and others.